Home/Plugins, WordPress/Can Gutenberg replace the traditional WordPress Video Editor? As of today, gutenberg involves a lot of controversy in the WordPress community. Gutenberg is a WordPress Video editor. 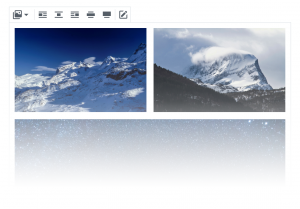 Gutenberg will replace the default WordPress video editor called TinyMCE editor which offers two rows of buttons that help to create, edit and format the post content. The primary toolbar or the first-row includes styling and formatting functionalities. It also allows the addition of an extra set of controls that adds, edit and remove anchors. These buttons are simple and anyone with basic knowledge of a word processor can understand these buttons. There are a lot of other things that you might already know about TinyMCE editor. And that’s why I’m going to tell you about the Gutenberg Editor. Gutenberg editor named after the famous Johannes Gutenberg, who invented a movable type of printing press 500 years ago. Gutenberg WordPress editor is with the WordPress core. 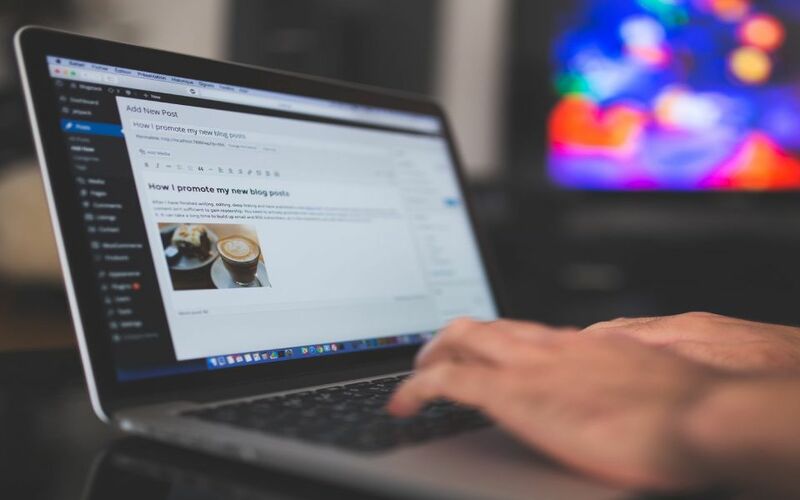 Gutenberg adds content blocks and page-builder-like functionality to every WordPress website, or more precisely, up-to-date WordPress website. Gutenberg replaces the TinyMCE as the default content editor. 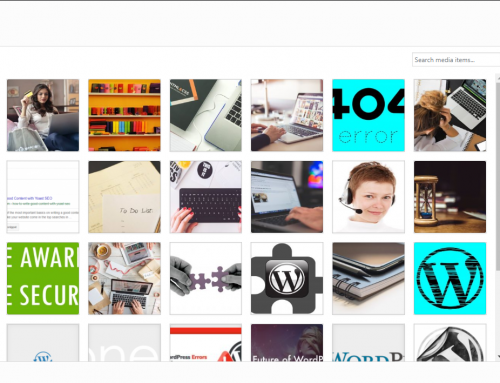 Using Gutenberg you can add content in blocks of various types from the backend of WordPress. Gutenberg is currently in the developing stage and they have a dedicated team of developers working round the clock to perfect this. You love the TinyMCE editor, right? Okay. What you need to do is download this editor as a feature plugin and start using it. If you don’t like this plugin like many other people, then, the bad news is It will come embedded in the WordPress 5.0 version. Gutenberg is a significant upgrade for the WordPress publishers. It reduces the visual difference between content (that people create) in the admin page of the website and the frontend. This isn’t the only change that Gutenberg will bring with the WordPress 5.0 version, it will also explore the possibility of unifying different aspects of the site building process with the new customizer and widgets. WordPress as a project has always given importance to backward compatibility but with Gutenberg, you should know that backward compatibility is dead in the water. We have also seen Gutenberg facing a lot of backlash from a lot of developers in the WordPress community. Backward compatibility focuses on not breaking things or doing everything possible to avoid it but Gutenberg will definitely break sites. The goal of this new project is to facilitate the use of modern technologies like React, REST API) which in turn is going to avoid the problematic parts of the core. 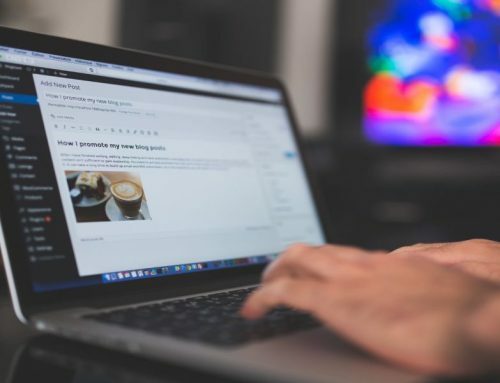 After you install it as a plugin it will look like your site is updated to WordPress 5.0 and you’ll think your site is shifted to a parallel dimension and you’re stuck with something that is completely alien to you. To be honest, nobody knows how things will change once Gutenberg+WordPress 5.0 is out in the open, this is still in its beta stage and isn’t ready. Matt Mullenweg hopes to get 100,000 active downloads after its live. The team encourages the users to give Gutenberg a try because it is a permanent addition to future WordPress Core. The Gutenberg Plugin seemingly has a less number of active installs – 5,000 and has a download volume of 91,000. It has got a 2.5-star rating out of 5-stars. The worst part is the plugin requires 4.8 to work. You can search for this plugin in your WordPress dashboard under “Add New” and download it or you can download it like any other WordPress Plugin by navigating to the WordPress.org Plugin Directory and Search for the Gutenberg plugin and once you’ve found it, you’d have to click to download it and the Plugin’s .zip file will automatically start the download process and once the download is complete, go to Plugins > Add New in your WordPress dashboard, and tehn click upload Plugin on the top left corner of the page to > Click Choose file or simply drag and drop the Gutenberg.zip into the plugin uploader. What you need to do is, click on Upload Now, select the blue Activate Plugin button. You’ve installed the plugin. It is now an active plugin, feel free to use it. 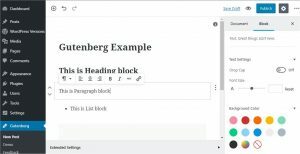 Gutenberg contains a number of “blocks” that you can use to customize your content and layout in the editor. You can add Blocks. All you’ve to do is click on the “+” icon in the top left-hand corner. This click gets you the options you want to choose. Recent: This is a collection of the blocks. The blocks you use frequently. Blocks: This includes Common Blocks( Paragraph, Image, Gallery); formatting blocks like tables, pull quotes and preformatted text; Layout Blocks such as separators/dividers, buttons and text columns and last but not the least Widgets, that includes a latest post or category feed or the shortcodes. Embeds: Gutenberg provides WordPress developers and users an option to embed many web elements from a number of popular web platforms like Facebook, Twitter, YouTube, Instagram, WordPress, SoundCloud, Spotify, HULU, Kickstarter, Reddit, ReverbNation, WordPress.tv, Tumblr, TED, and the list goes on. These new features make Gutenberg a lucrative update as a WordPress editor and this might be a good update for the modern day users who want a clean User Interface but it’s not the same with the developers because as far as we’ve seen and heard most of the WordPress developers hate Gutenberg. And it’s true to say that Gutenberg’s interface is very intuitive for a content publishing experience and for the people who are familiar with technical approaches, won’t be taking the new system lightly. In Gutenberg, you get a feature to store information about the block. You store information in HTML comments. I loved this neat and clever trick. You still have got no clue about the best thing about this feature. You can only see the comments on the backend of the website. People cannot see these on the live pages. Gutenberg is in a developing stage. We are not sure of the day when Gutenberg will take over TinyMCE entirely. Or use Gutenberg as merely an option for content publishing. But for the new users Gutenberg will be a great Visual Editor as the interface is very much similar to the likes of Wix and Squarespace. Some predicted that Gutenberg is going to break the site. It’s possible. In the earlier version of the Gutenberg, the copy and paste was quite filthy and made a hell lot of mess and due to this the Formatting was lost in the process but the in the new update of Gutenberg this problem/bug is fixed. Now you can easily paste paragraphs, lists, headings etc and the text markup like bold and italics are also retained. Gutenberg blocks output content using the HTML tags like section and figure. HTML tags help users to future-proof content created in Gutenberg. Did you know that you can write your own blocks in Gutenberg? Using Gutenberg, Developers will be able to create their own blocks for customized content and You can click the following link to know more about writing Gutenberg blocks. Content creation is not the primary feature of Gutenberg’s UI rather it focuses more on the content layout. If you are one of those people who like to sit down and compose in the post window then I’m sorry to inform you that your days are outnumbered. It requires more click to execute simple tasks like Updating a page now takes two clicks instead of one. it is impossible to know the functions of the usage of Nondescript icons. The Meta boxes are hidden under the extended settings underneath as well as beside the editor. If your computer or laptop has a smaller display like 12″ MacBook, then it will be quite confusing for you to scroll around as the three columns formed by the admin menu, Gutenberg editor, and Gutenberg sidebar looks crowded. You cannot execute shortcodes in the text columns or paragraph blocks and you have to place in the shortcode block in order to make them work. This will be quite problematic if your shortcodes produce inline content like the year or an inline call to action. 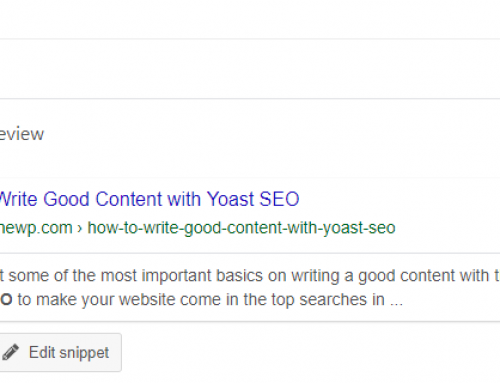 But the shortcodes in pages/posts will still work when you add Gutenberg to an existing site and even if there is a flaw regarding the shortcodes in paragraph and codes, the development team have done a good job in making sure that existing things don’t break. You won’t be able to wrap text around an image rather the Images have their own block. Even he embeds like audio and video require their own block. o Embed from YouTube, Vimeo, etc. will no longer work in Gutenberg paragraphs or text columns. So this is a major drawback of Gutenberg. Currently, you can also expect accessibility issues on using the back end of Gutenberg editor and on content output by it on the front end like inline CSS. These issues will certainly be dealt with before releasing WordPress 5.0 as accessibility and how inline CSS can be addressed is a big priority for WordPress. The older themes don’t have CSS to address styling the tags and so the margins and padding for these tags will most likely be nonexistent as Gutenberg doesn’t have its own style-sheet. Gutenberg is not running on a production site and a lot of things about it needs to be changed, implemented, addressed and decided. When its time, WordPress will definitely take steps to ensure the testing is conducted on installs for ensuring smooth transitions. It is not very easy to make predictions about it just yet as it is still in development. A lot of things aren’t clear or implemented or discussed. We don’t know when WordPress 5.0 will be live and whether the hero of our blog will make it to the 5.0. In last few months, we have seen a lot of discussions about Gutenberg in the entire WordPress industry. I’ve listed some of its pros and cons. It will be a nice addition to WordPress once it gets embedded in WordPress 5.0. We are currently witnessing the drawbacks of Gutenberg. In no time we might get the Gutenberg we want. WordPress enthusiasts like me are ready to get our hands on the WordPress 5.0 as well as on Gutenberg. The full specs haven’t revealed by the WordPress core team as of now. So it’s safe to say that we don’t know what is to come with the Gutenberg and WordPress update 5.0. Page builders can use Gutenberg as an editor. Once everything works accordingly, it will change everything in the future. We are expecting that there will be a possibility to use the block API of Gutenberg and to come up with some sort of migration tool but so we know nothing like Jon Snow. It is programmed to turn into a reduced block editor rather than being a text editor. Using this editor, customers can use Fusion Builder and Gutenberg, side by side. Well, Fusion Builder is a far more advanced, professional page building tool that presents a very powerful and attractive alternative. We all have kept an eye on Gutenberg even since we heard about it and we expect the best out of it even if we don’t like the changes that it is going to bring but evolution is the way of life. I hope I’ve provided you with the information that you were seeking for. You can check out Mullenweg’s WCEU 2017 interview below. And if you want to see Gutenberg in action then click here. Hola folks! My Name is Raunaak Mitra and welcome to my blog. I'm a full-time content writer, a creative writer, and a blogger. I have an area of expertise and interest in Tech, Photography, Music, Pop Culture, Gaming, Blockchain, Cryptocurrency, World History, Multi-verse and Other Astrophysics' Theories, English Literature, and Fashion. I'm also a big Movie Buff, a dedicated Musicophile, and a Binge-Watcher. How to Move WordPress Sites Easily with Migration Plugins? How to Choose Best WordPress Calendar Plugins?